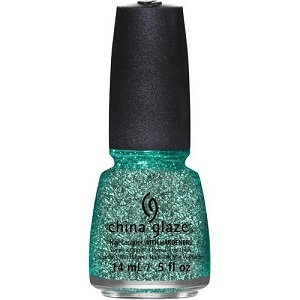 China Glaze Nail Polish, Pine-ing For Glitter, 1349, .50 fl. oz. Small metallic teal green hex glitter mixed with green round micro-glitter in a clear base.